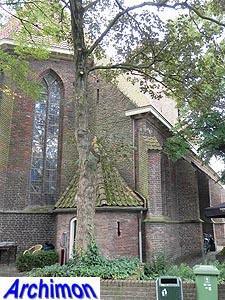 In 1337 a chapel was founded near the castle of Borculo. 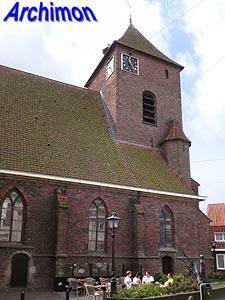 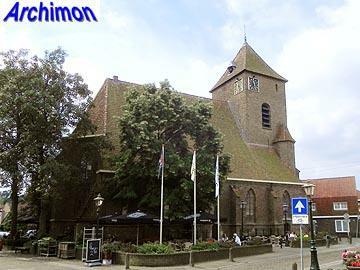 In that period the village, a town since 1375, belonged to the parish of Geesteren. 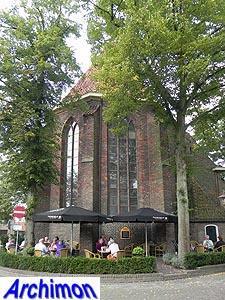 In 1509 Borculo became a parish in its own right, and afterthat period the chapel was replaced by the current church, a two-aisled pseudo-basilica in simple late-Gothic style. 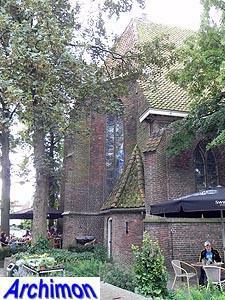 First the choir and part of the side-aisle were built, most likely as extensions of the chapel, followed later that century by the nave and the rest of the side-aisle. 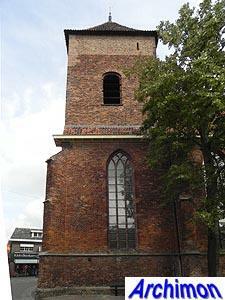 In 1590 a fire damaged the church; during repairs the part built-in tower was added. 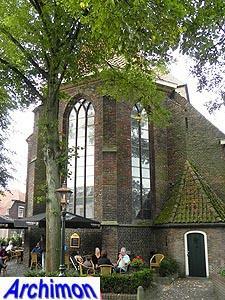 In 1616 the church became protestant. 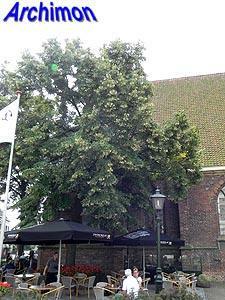 In August 1925 a cyclone caused great damage in the town. 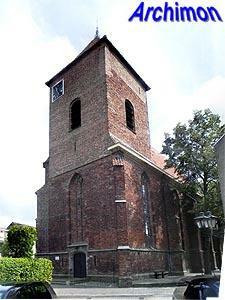 The old church lost the upper part of its tower while the roof was completely ripped off. 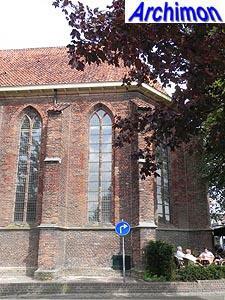 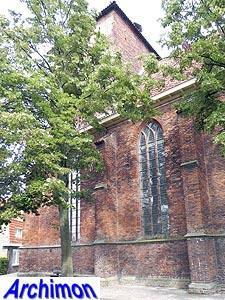 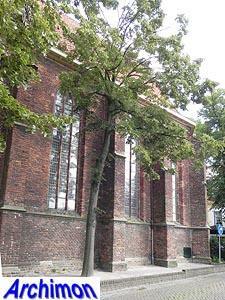 In 1927-1928 the church was restored by architect H. Onnes.